“We don’t hold data on U.S. citizens,” General Alexander, director of the National Security Agency, said last summer. People believed him. But in the future, his statements will receive more scrutiny – and now a coalition of Internet groups is taking a stand to make sure the right questions get asked and answered. Now that the NSAs program of widespread Internet and phone surveillance is common knowledge (thanks to Edward Snowden, the man behind the intelligence leak) plenty of people have questions. The government’s rampant domestic data collection provokes serious concerns about privacy and freedom. So it’s no surprise that a group led by Mozilla and joined by Reddit and the ACLU started Stopwatchingus, a campaign to insist on more transparency and accountability when it comes to digital surveillance. This coalition started a petition signed by organizations as varied as the American Library Association to Greenpeace to the Mansfield North Central Ohio Tea Party Association. Interest in making sure citizens aren’t unknowingly allowing unprecedented information collection supersedes political lines. The diversity of the signatories underlines the fact that both liberal and conservative interest groups feel this project violates privacy and is deeply problematic. 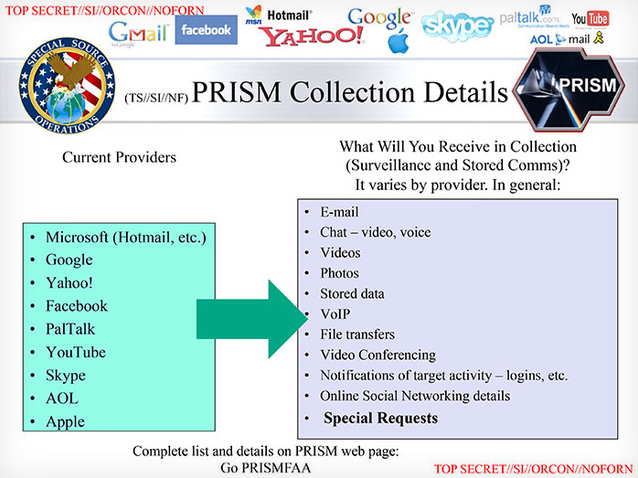 Mozilla outlined why their organization and the others take issue with the NSA’s tactics. In a blog post, Mozilla described how people who use the Internet should be aware that what they put online can be gathered. But they make an important distinction between a personal decision to share information online and the way that the government has been accruing personal data without letting people know they’re being watched. “Exposures resulting from government-sponsored online surveillance are entirely separate from whether we choose to share information and what those sites say they will or will not do with our data. That’s because, at least in the US, these companies are required to respect a court order to share our information with the government, whether they like it or not. Mozilla hasn’t received any such order to date, but it could happen to us as we build new server-based services in the future,” Mozilla’s privacy and public policy leader Alex Fowler wrote. It’s heartening to see such a broad and varied patchwork of groups uniting to publicly state that the government’s surveillance programs are messed up. Will it change anything? Unfortunately, with President Obama, National Intelligence director James Clapper, and the NSA defending their actions, it doesn’t look like public outrage has moved them an inch on the validity of the project. And since the intensity of outrage will likely fade in a few news cycles, it may be too difficult to rally the public to protest this kind of surveillance in a way that will actually affect change. Still, the growth of this petition is heartening; in the process of writing this article, the signatories have tripled, a good sign that the cause still has momentum. Samsung whacks, bakes and drowns Galaxy S4 in 'reliability test' video – passes with flying colors!